John D. Oluwasanmi, known as John lord is an international Christian/ Gospel Hip Hop and Afro pop Artist, Song writer, Composer, Record Producer, Director and Actor. He is a spirit-filled and an anointed minister. He is the president and owner of the independent record label Fo’ Jesus Records. John lord is from the Western-part of Africa, Nigeria and has passed through the hustle and struggle of life which has finally led him back to God after so many years of “unto no avail” street hustles. His ministry in songs and preaching the gospel has blessed people in so many ways (glory be to God) before he officially released his first single back in Dec., 2013 (Doin’ it for His Kingdom) and later in 2015 released another single called (Till I Die). The positive feedback received from these two singles gave him the courage to proceed in accomplishing his first debut album project titled “Doin’ it for His Kingdom” which was released on the 9th of July, 2016, this album has become the talk of the youths ever since then. He is dropping a new single called No One But You feat ToluP, appreciate the Most High for all He has done for you. 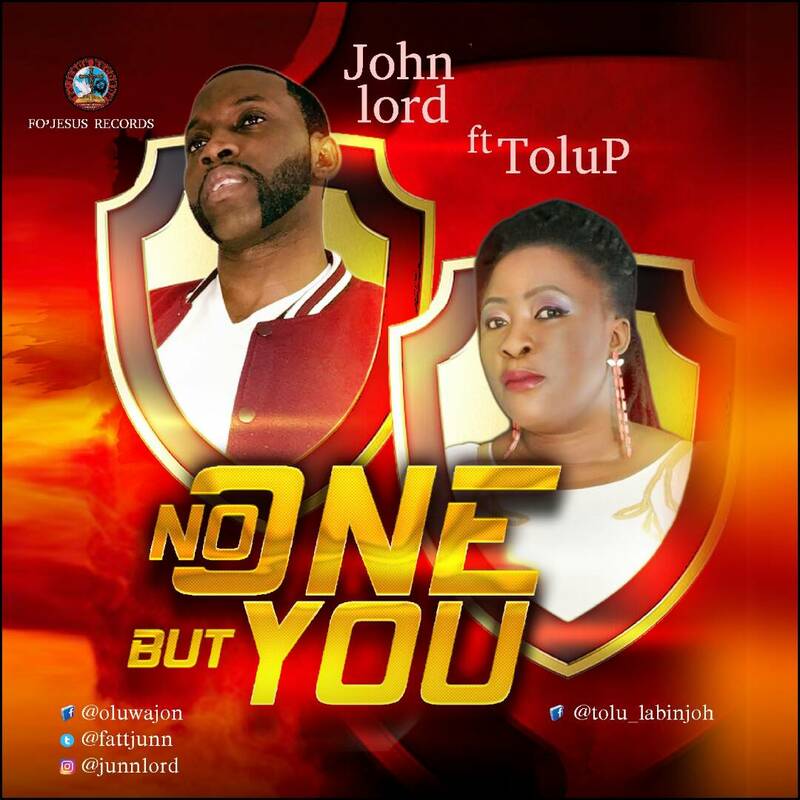 John lord is now a US based recording artist and he has been touching the lives of the people around his environment (to God be the glory).